The truth is, as consumers we all have the power to invest in brands that take care of our environment. And when it comes to our spaces, we all have a responsibility to be mindful about the amount of household waste we produce. As I’ve grown deeper in my own knowledge of how our consumerism affects our planet, I’ve been determined to cultivate a lineup of amazing non-disposable products that are better for our health and the environment! Below is a list of go-to household products that I recommend to my clients, and use myself. Ditch the toxic chemicals and layers of unnecessary plastic, and say hello to reusable! Enjoy! David’s Natural Toothpaste: This brands was founded on the principle of quality. Made with the highest quality ingredients, sustainable packaging, and made in the USA. You can also find David’s Toothpaste on Amazon. If You Care Dishwasher Tablets: If You Care works to provide consumers with sustainable and environmentally friendly kitchen and household products. If You Care Automatic Dishwasher Tablets are super concentrated. They contain a potent blend of mineral and plant-derived cleaning ingredients including powerful enzymes to get your dishes sparkling clean. Ambatalia Wool Sponges: Ambatalia’s Mission is to support consumers in a “non-disposable” life with beautiful and sustainable products for our day to day lives. Meliora Laundry: ”Meliora means better” This brands is committed to creating high quality cleaning products that work. Their home cleaning and laundry products are MADE SAFE certified. Meliora Household Cleaner: Meliora Cleaning Products' All-Purpose Home Cleaner is our one-stop solution for cleaning the hard surfaces in your home. Floors, walls, countertops, even the greasy fingerprint smudges on the fridge. Just add water for a better cleaner that's free of fragrances, dyes, and preservatives. Our refillable GLASS spray bottle comes with one tablespoon of cleaner pre-loaded. When empty, simply add 1 tablespoon of All-Purpose Home Cleaner REFILL to the bottle. Life Without Plastic Reusable Coffee Filter Pod: With a awareness and initiative, Life Without Plastic is on a quest to is to be a one-stop shop for safe, high quality, ethically-sourced and Earth-friendly alternatives to everyday plastic products. This an exciting find and really a big deal because disposable coffee pods for single serve brewing machines are a huge source of plastic waste. It is estimated that in 2014, the amount of K-cups that ended up in landfills could have circled the Earth 12 times around! By substituting disposable cups with these reusable ones, you can seriously reduce your plastic footprint. 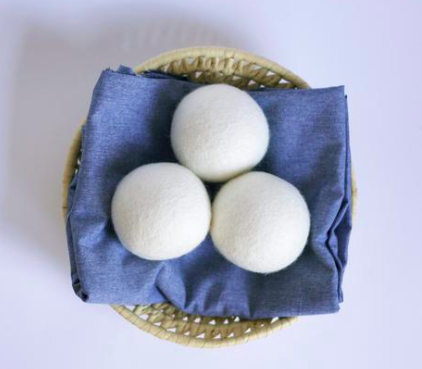 Wool Dryer Balls: The Wild Minimalist’s are passionate about living a minimal, zero waste lifestyle and helping others do the same. These 100% wool dryer balls will make your laundry soft and fluffy, without the chemicals used in commercial dryer sheets and softeners. Simply toss the balls into the dryer with your wet laundry and your drying time will be reduced by 25%. Zero Waste Self-Care Kit: Typical health and beauty products are designed for disposal and contribute to a significant portion of household waste. These beautifully crafted products are designed to be used again and again, and can be primarily be composted at the end of life. Zero Waste Lunch Kit With Coffee Cup: Dine in sustainable style with our zero waste lunch kit. This kit has everything you need for waste-free dining on the go—whether you're packing lunch for work or heading to a beach picnic.